French cuisine is often viewed as a work of art, a perfect blend of eye-catching culinary delights fused with an experience that is almost likened to storytelling. The chefs are the artists, the waiters are the curators and you, the customer, are the spectator. Therefore, it is no surprise that an establishment born out of this belief would sink its roots right here in Saigon, a city that celebrates the importance of food and art. It promises to provide you with an experience that you will probably remember for a while. Located in a refurbished French colonial villa built more than a century ago just off the intersection between Dien Bien Phu and Le Quy Don in District 3, Jardin Des Sens is a 38-seater French fine-dining restaurant that provides the exquisite culinary experience you can expect to get with a pair of Michelin 3-Star chefs, who also happen to be brothers. 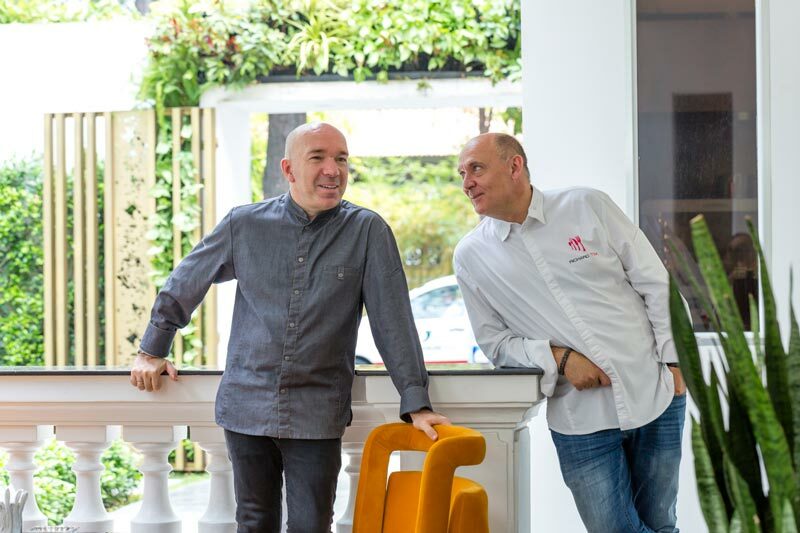 Jacques and Laurent Pourcel, the men behind Jardin Des Sens, believe that a good meal unfolds like a story with moments of anticipation and surprise, unexpected pleasures and special details. Their creations are inspired by their hometown in the south of France, with Mediterranean influences. The ingredients they use are sourced locally and around the world. From Alaskan king crabs to vegetables from Dalat, there is a lot of thought and detail put into the dishes crafted in this restaurant. You can choose between the three, five or eight-course offerings. Serving sizes of the dishes depend on which of these options you choose, but Jardin Des Sens’ priority is to ensure you leave the restaurant comfortably full and extremely satisfied. The restaurant boasts a selection of about 180 French wines that are stored in-house, and you can pair your food with any of these wines, with recommendations by the staff. Jardin Des Sens’ lunch set menu consists of a three-course offering excluding the starter and dessert at just VND630,000. You can choose what you’d like as your main, with a series of recommendations by the chef to accompany that course. With that, you get a very consistent serving of dishes that almost feels thematic, another aspect of the ‘storytelling’ concept behind this restaurant. Notable best-sellers include the King Crab, which is served with homemade spiced mayonnaise and wasabi chantilly; and the Scampi, consisting of cauliflower mimosa, caviar and puffed bread. The desserts are also worth a shout-out, especially the Soufflé, consisting of vanilla grand cru, passion fruit jelly and mango sorbet; as well as what is aptly called The Chocolate, a cylindrical piece of art consisting of guanaja and pistachio. The restaurant’s choice of location in a colonial villa is no coincidence either; the idea is to recreate an intimate and homely setting for its guests. Upon entering, you are guided by one of the knowledgeable and professional staff who will explain to you what the dishes are, and answer your queries in either English, French or Vietnamese. This homely setting also extends to its creations, with most of its condiments, ice cream and even its soda water made from scratch in the restaurant, giving you an exclusive taste that you won’t find elsewhere. 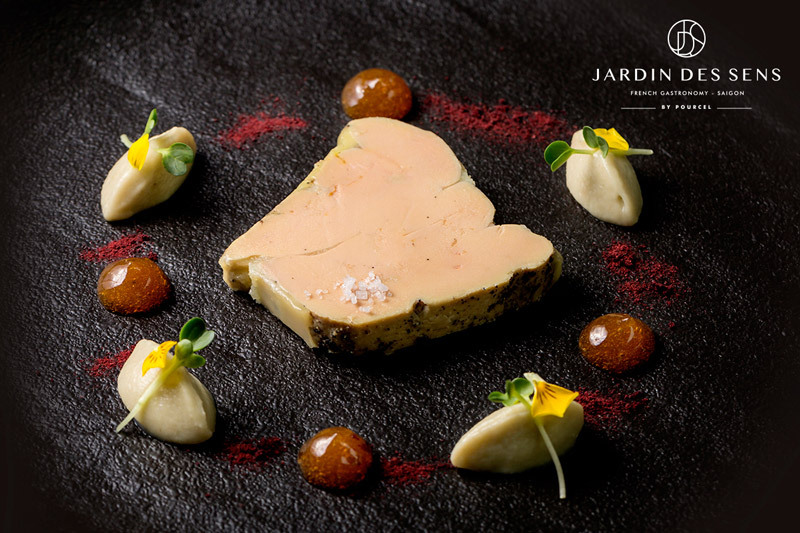 Jardin Des Sens is a fine-dining restaurant that provides an experience beyond just a meal. This is superbly achieved with the expertise of the master chefs, and the dedicated team of professionals who will ensure your journey is a smooth and delicious one. The restaurant scores an impressive 5 stars on its Facebook page with reviews mostly praising the quality of the dishes, the choice of location – a quiet area just a walk away from District 1 – as well as the overall experience that augments the food. 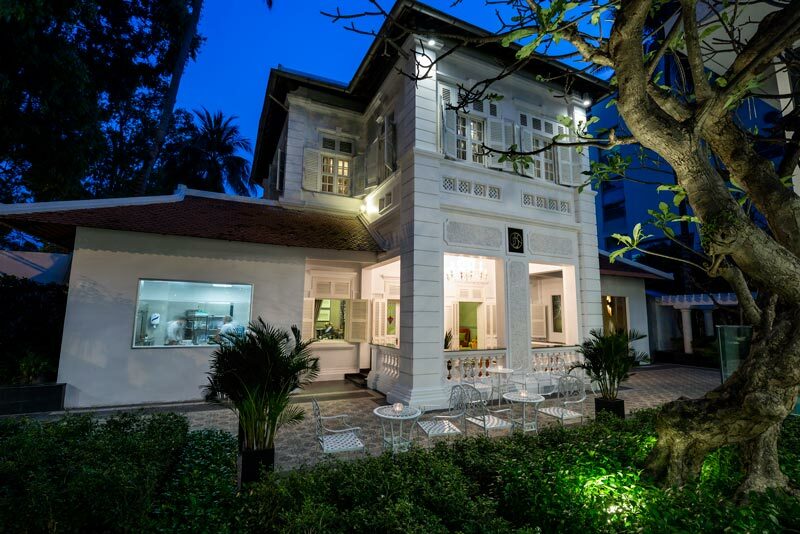 The restaurant’s location, a beautiful colonial villa in a relatively quiet area just a stone’s throw away from the city centre adds to the charm of this establishment. 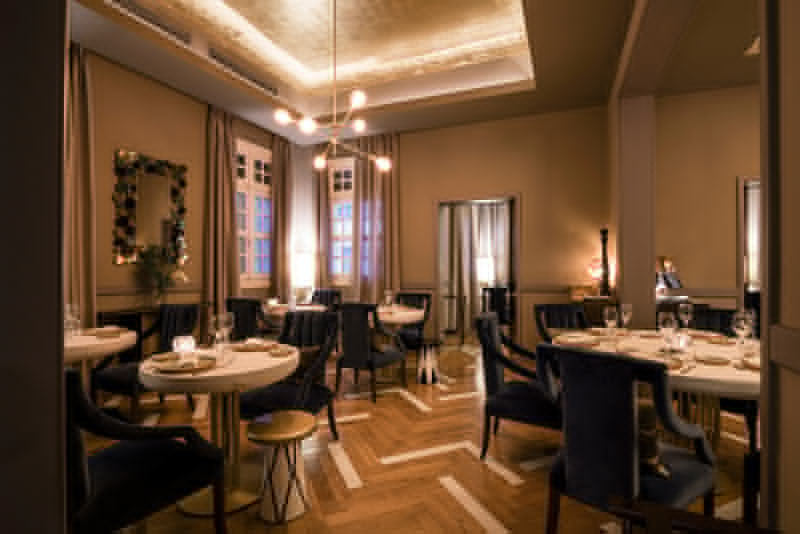 The concept of storytelling also adds another dimension to the overall experience and the amount of attention and care put into the details, including its homely elements, and items made from scratch make this one of the best options if you’re looking for a French fine-dining experience.